Chinatown in Binondo had always been sought as homes for amazing hole-in the-walls. A lot of food tours were set up just to give way to foodies' insatiable cravings for original and best Chinese dishes. A great Binondo food tour can also open up opportunities of learning a myriad of things about the Chinese culture, the food is just one part of it. If you still haven't had one you can start with going to Lucky Chinatown mall. 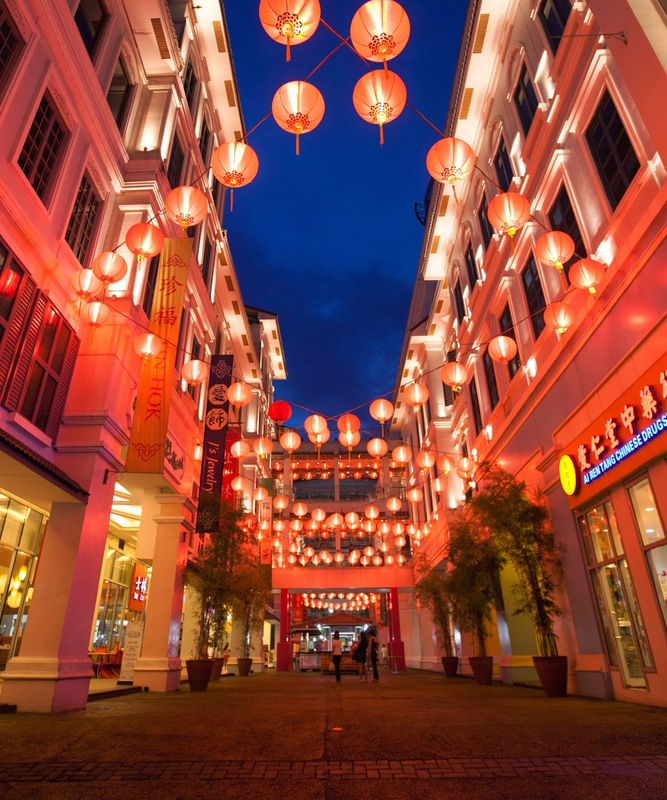 Though it's fun going around Ongpin and the adjoining streets that boast of secret food joints offering tasty dumplings and all, sometimes it's nice when you are only in one common place, where you can dine, shop and appreciate Chinese culture. This May, Lucky Chinatown, Megaworld Lifestyle Mall's heritage project located in the heart of Binondo, together with Our Awesome Planet's Anton Diaz and Mercato Group's RJ Ledesma, will host a unique food and culture tour that will get you immersed in the fascinating traditions dubbed as "Awesome Food and Culture Secrets of Lucky Chinatown Tour." Costing only PHP 888, the tour will not only fill your tummies but will have you leaving the vicinity wholly with some spiritual and trivial encounters you can delve your minds into. The 4-hour tour runs from 11:00 AM to 3:00 PM on Saturdays of May, 2014 - May 10, 24 and 31. Let me give you a glimpse of what you can expect in the tour. I was so blessed to be part of the first tour, made for bloggers. The tour program consists of 10 pit stops. A genuine way to start a Chinese culture immersion is with teas. Upon entering Annex A of the mall, Botanical Herb Booth will great you with teas. You will sample 4 of the different tea concoctions they sell, namely, Maybloom tea, Snow Pear Chrysanthemum Tea, Lo' 5 or Momordica Grosvenor Five Flowers Tea, and PlumTea. The medicinal uses of these refreshing tea will be discussed as well. Most of us were not Chinese, so burning incense and being educated about it was an enlightenment. The religious use of incense has its origins in antiquity. According to the lady who welcomed us, the burned incense may be intended as a sacrificial offering to various deity or to serve as an aid in prayer incense. Burning is a common Chinese religious ritual in Chinese ancestor worship, Taoism and Buddhism. It is reputed to be a method of purifying the surroundings, bringing forth an assembly of buddhas, bodhisattvas, gods, demons, and the like. After learning about Buddhism and sticking incenses, we proceeded at the booth just in front of it. During weekends, the walk between the two buildings of Lucky Chinatown will be lined up with booths from Chinesse food purveyors. We came close to Fu dao's booth and drooled from these Sate Seafood Noodles. You can also watch them make dumplings which also makes up the spicy soup base of the noodles. Fourth stop, is the booth where the aroma of the drool-worthy whole fried chicken can be found. However, this is not included in the sampling but I'm sure when you these and you'll buy one to take home. At this stop, you will get to indulge in another bowl of noodles. The broth that's spot on with the hand-pulled noodles (authentic to Chinese noodles dishes) and served with a number of dumplings. Make sure to savor not just one Pumpkin Cake. Though a bit oily this is finishes up your palate with the subtle sweetness from the pumpkin, the crunchy and sticky outer part covers up a delish inner part. Brace yourselves and loosen that belt as more food will be served for you to sample. We were able to try Cua Pao, something like a siopao, except it's like a sandwich filled with braised pork belly, kiam chay, sugared peanuts and cilantro. My favorite among all the samples is the Fresh Lumpia. It's an all veggie and tofu filling with mixed seaweed, sugared peanuts, cilantro and garlic, wrapped in a thin sheet of flour-based lumpia wrap. Another noodle dish on the list is Mr. Fast Foo's Maki Mi. The sticky and heavy consistency of the broth makes this bowl so different. The balanced mix of sweet and salty makes this even more interesting for a hot noodle bowl. It also has pork tenderloin and spring onions. As a break from the carbo-loading from the different noodles sampling, we were guided to Phoenix Dragon. It's a store carrying different Feng Shui elements. Shop owner Samson Chua will give a forecast on health, career, business and love for the Year of the Wooden Horse. During our visit, bloggers were able to have their lucky charms cleansed and blessed. Are you getting married or planning to get hitched soon? If your answer is yes, then this trip is for you. Included in the tour is a visit at one of the one-stop shop for Chinese wedding preparations. The visit is just as an eye-candy, but thanks to the people behind the tour, an onset talk about Chinese wedding tradition will be given and a short crash course on how to make that wonderful wedding and marriage for couples. Next stop will be the one to be looked forward to. The answer to the this long-forsaken humid weather, snow cones! But hey, these are the leveled up type of snow cones. Rainbow Snow have taken this cold dessert craze from Taiwan to Binondo. It's not the typical flavored crushed ice we get on the malls. It's stone-froze ice cream, crushed into tiny bits with the texture like that of snow, formed into a cone and topped with flavored syrup. It's like eating ice cream in a whole new experience. The perfect dessert or snack for this exhausting summer heat. Who'll guess that right inside a mall is a venue for relaxation and wellness. A short stop to Wellness Sanctuary will give you a rundown of what a traditional Chinese medicine is, what's even nice is that you get to try one of the services they offer such as, ear acupuncture for detoxification, a Tui Na (Chinese Hilot or massage), or fish spa. The last stop is a Hainan Cuisine experience at Tao Yuan which is one floor down from Wellness Sanctuary. They have prepared a delicious sampling of Chinese lauriat with a Simgaporean and Hong Kong style dishes.